700x250x720mm high assembled / 700x70x105mm dismantled. Currently self produced in limited batches. 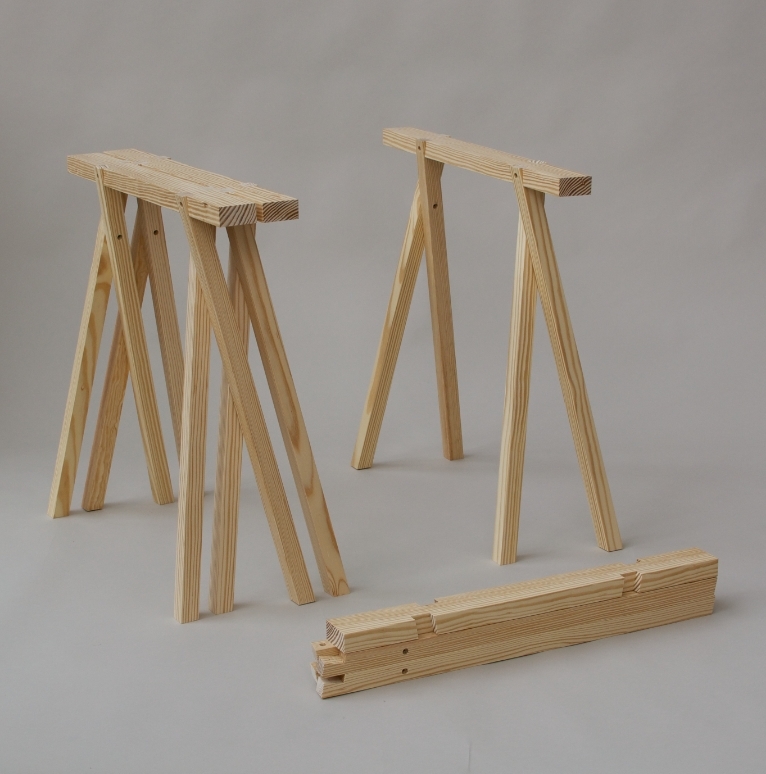 Price: £170 a pair Southern Yellow Pine; £220 a pair in Oak or Ash excl P&P. 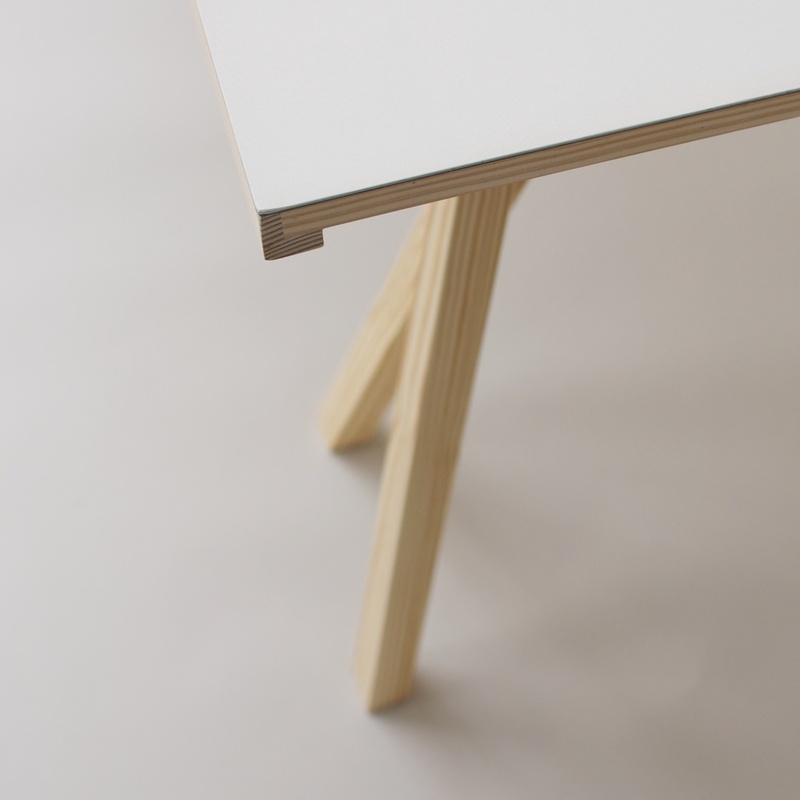 Bespoke table tops can made to order, typically in solid timber or a lino surface on ply with a timer edge. Please email for a quotation. 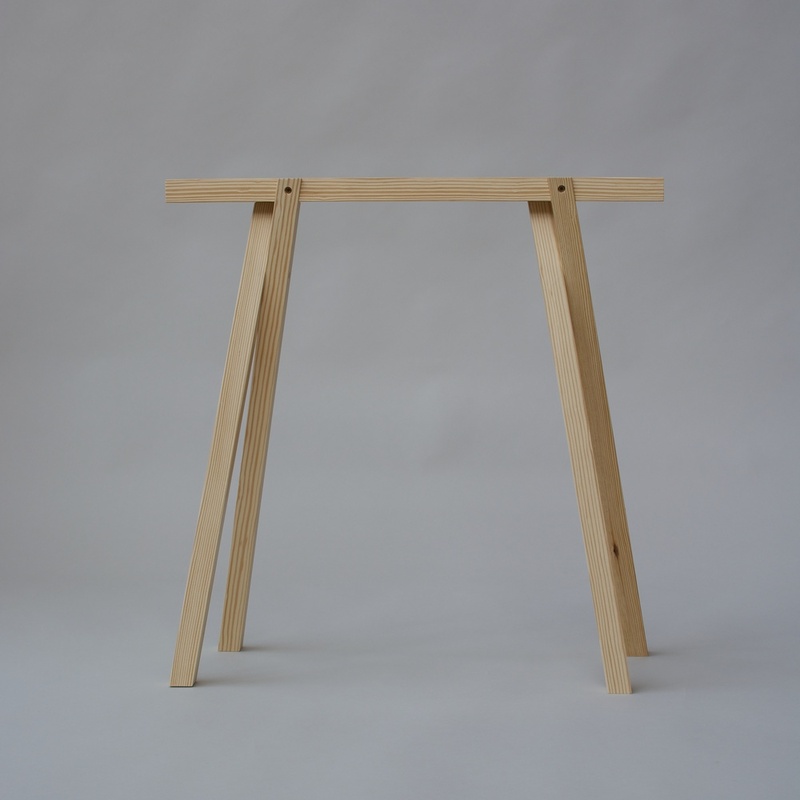 Drawing upon the carpenters’ saw-horse as a source of reference, this trestle is a lighter more refined version in which the customary plywood bracing patches at the top of the legs which resist splaying, are replaced by a simple overlapping leg detail. A single screw joins the legs into pairs which then screw fix in a scissor like fashion into slots in a top rail. They can be nested together when not in use or easily dismantled and stored or shipped as a compact bundle of parts.